The Union Square quilt block is one of many that is based on the Ohio Star block. Union Square dresses up the corners of this nine patch. 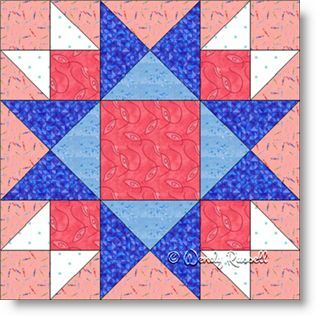 Below, you will find links to other quilt blocks that are similar, but still uniquely their own. The sample quilts illustrated use basic layouts -- one quilt set on point and the second one has blocks set side by side. This simple change up gives a totally different look.